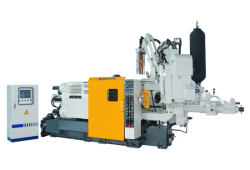 Simhope is the leading die casting machine manufacturer in Taiwan, mainly produces high pressure die casting machine, hot chamber die casting machine and cold chamber die casting machine. Sincerity： Based on faithful and real attitude,to achieve customer's quality requirements. Responsibility：Thoroughly research for customer’s need. We dedicate to making profit for both investors and laborers. Progressive：Always making effort to improve the quality of products and service. Innovation：Insisting on excellence and dedicated to R&D our products. Utilizing all of the resources effectively and efficiently. Promote the quality of products constantly. We will do the best to satisfy our customer requirements. We believe quality is created form manufacturing instead of inspecting. Keep on R&D to create high-value-added die casting machines for our customers. Simhope Industrial Co., Ltd. was established in July 1984, engaged in mechanical parts processing. 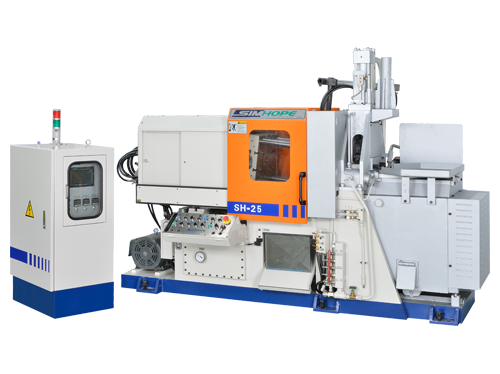 Purchase the giant floor type milling machine from Japanese Toshiba. R & D manufacturing Zinc alloy / Aluminum alloy die casting machine and peripheral equipment sales at local and foreign. Purchase Toshiba the CNC center cutting machine. Passed the ISO 9001: 2000 edition of quality certification. 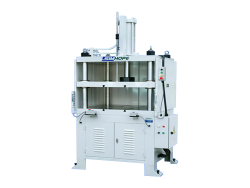 Get integrated die-casting machines and welding jigs and other patented. Acquisition of large automatic coordinate measuring Leading machine. Use WINTON ERP and WSTP, business management of information technology. Autodesk Inventor, Showcase improve design efficiency, Master CAM enhance the machining ability. Autodesk Vault (engineering file management system), integrate the design and data base management.